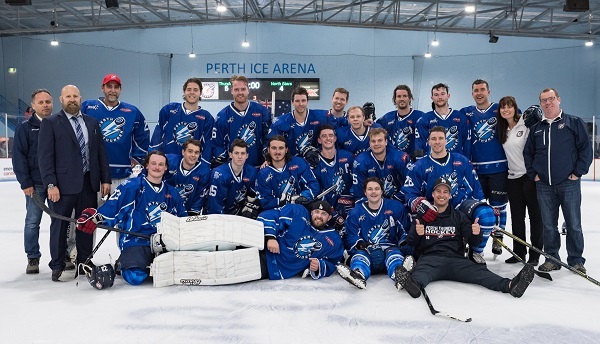 The Perth Thunder have clinched an AIHL Finals spot for the fourth consecutive year after beating Newcastle Northstars 5-4 in an action packed shootout win at Perth Ice Arena August 25th. 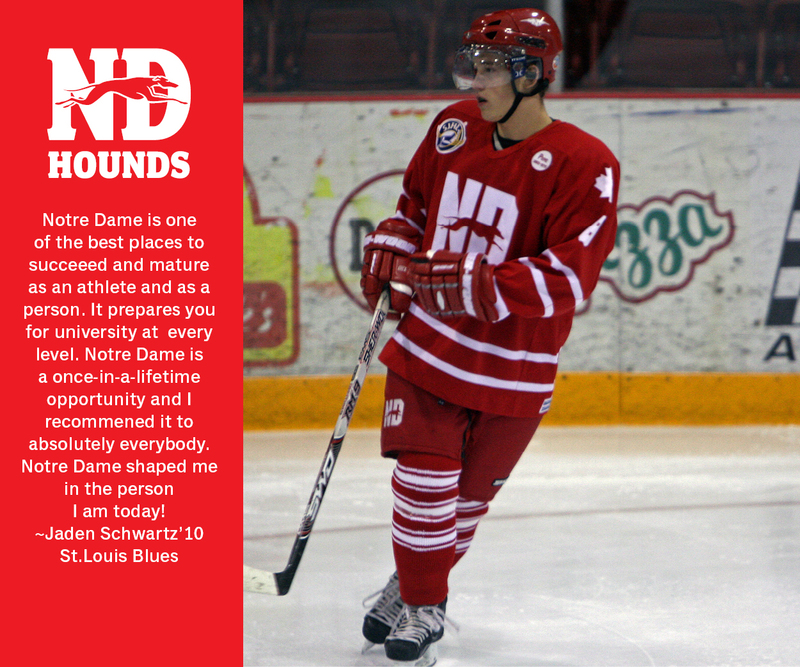 The Northstars outshot the Thunder 49 to 36, and Peter Di Salvo was an important factor in the Thunder’s wining result. 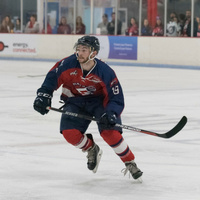 Sammy Banga picked up three points for the Northstars, as well as scoring the only goal for the team in the shootout loss that puts them one game away from deciding their fate in the AIHL Finals next weekend. The game had a Finals feel to it right from the get-go as both teams were desperate to pick up the crucial points. “These types of late games really make you battle hard going into the semi’s.Tthe last couple years we have been locked into Finals from a few weeks out and having to battle like this all the way down the wire will hopefully prove to be a good thing for us,” Thunder Coach Dave Ruck said after the game. 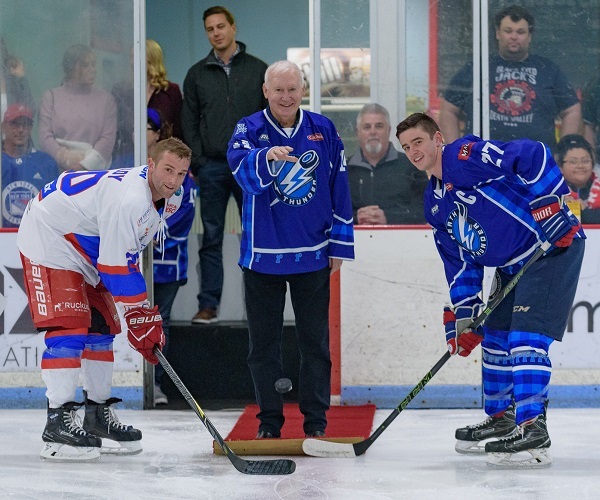 Andrew Cox opened the scoring just three minutes into the game to put the Thunder up by a goal in the early goings which had the sold-out crowd on their feet in what was an electric atmosphere at Perth Ice Arena. With the Northstars on their heels early, Ben Breault managed to put the Thunder up by two goals with 10:32 still remaining in the first period which had the Northstars looking uncomfortable to start off. As the game picked up in pace and the Northstars started to find their feet, Sammy Banga earned his goal first of the night with three minutes remaining to cut the Thunder’s lead in half heading into the second. This managed to spark some life into the Newcastle squad who came out firing in the second period, and with Simon Kudla sitting in the box for interference, Banga managed to beat Di Salvo for the second time just three minutes into the second frame to level the scores at two goals each. The Thunder however seemed to take advantage in a slight dip in play from the Northstars, and with five minutes remaining in the second, P.O. Grandmasion managed to give the Thunder the lead once more- this time at 3-2 heading into the final twenty minutes. The third period saw the Northstars come out eager to level the scores. 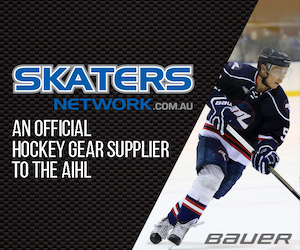 Just four minutes in, Newcastle levelled the scores once more, until a controversial goal was eventually given in favour of the Thunder after a big dispute between the Northstars bench and the referees. The goal brought the game into chaos momentarily with a match penalty being assessed to Joe Harcharik for abuse of the official after multiple Newcastle players had an altercation with officials on the ice. The chaos continued after Jordan Kyros was given the goal, as goaltender Dayne Davis removed the net from the goal crease in protest of the goal, before the Thunder turned the puck over to ex-Thunder defenseman Rob Haselhurst who buried the puck in the Thunder’s net to level the score at four aside. 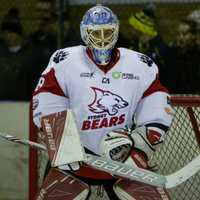 After no debate on the goal, despite what had transpired, the tumultuous game was sent past regulation where it came down to goaltender Peter Di Salvo to put his team into the AIHL Finals once more. 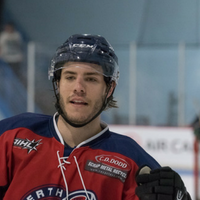 Goals from Grandmaison and Breault put the Thunder on top in the shootout before Di Salvo made the final save needed to give the Perth squad the AIHL Finals spot they were looking for. 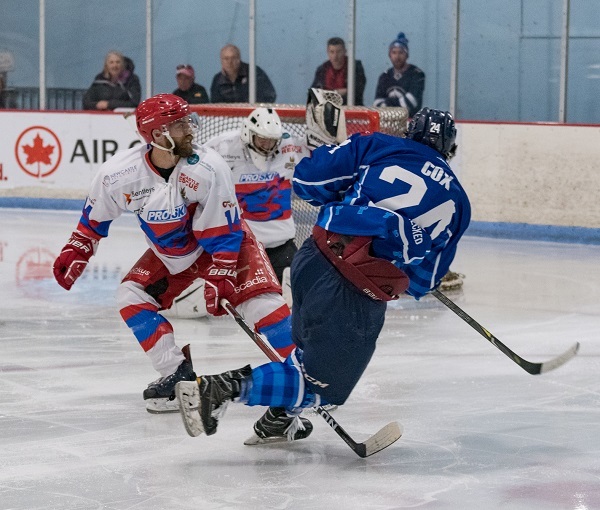 With third place locked in, they will now have to start to look beyond Sunday’s rematch against the Newcastle side to next weekend, where they have stiff competition ahead of them as they come up against a red-hot Sydney Bears in the semi-final.